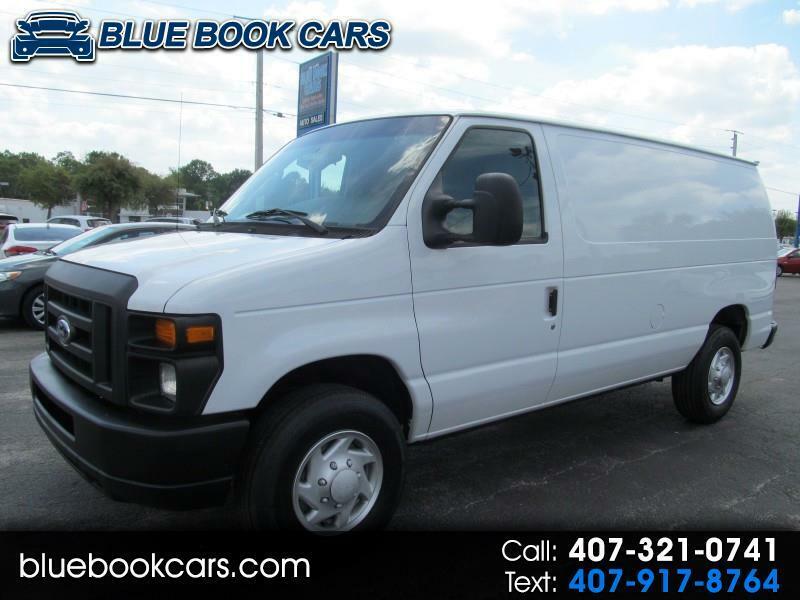 2014 FORD E-250 4.6L WITH LADDER RACK, BINS & BULKHEAD! READY TO GO TO WORK! WE HAVE FINANCING FOR YOU, RATES ARE LOW FOR GOOD CREDIT! BUY DIRECT, BUY BLUE BOOK! " THE BEST TRUCKS AT THE BEST PRICES " BLUE BOOK CARS COMMERCIAL TRUCK SALES. Welcome to Blue Book Cars, serving Central Florida for over 43 years!Call 407-321-0741 We have over 20 top lenders ready to compete for your loan, serving ALL credit needs including first time buyers, or those with limited or no credit experience. If this is not exactly what your looking for, ask about our special purchase program through the auction, and corporate sales that lets you hand pick your new used car at Blue Book prices! Internet prices are cash or 740 and above beacon score, must have copy of ad at time of purchase. Message: Thought you might be interested in this 2014 Ford E-250.